Sourdet-Diot Champagne was born in the heart of the prestigious Marne valley, or more precisely at La Chapelle Monthodon. Today, our vineyard spreads over 11 hectares of vines on southeast facing slopes, providing ideal grape-growing conditions. Raymond Sourdet planted the first vines in the 60s and sold his harvest to the largest Champagne houses. After some years, the family vineyard expanded. 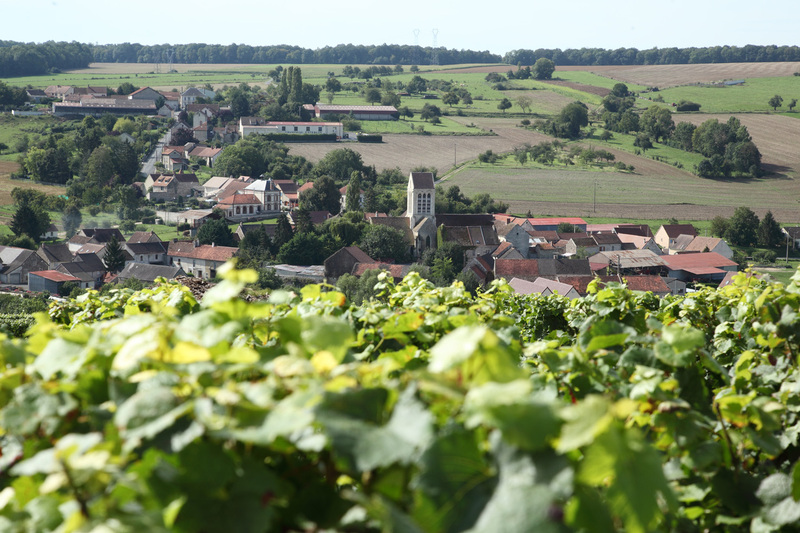 In 1980, Patrick and Nadine Sourdet decided to become independent winegrower, which consists in elaborating its own champagne on its own property from its own grapes. The installation of a traditional press and cellars were to follow. At this time, 50 % of the grapes were sold to the largest Champagne houses and the remaining half was conserved on the property to elaborate Champagne. In 1990, the contract with Veuve Cliquot was not renewed. Since then, the entire harvest has been conserved and elaborated in our cellars, leading to its extension and the creation of a wine tasting room. This new step has enabled us to receive our clientele on the property. In 1992, we were listed as a “welcome point” on the Champagne Tourist Route. We wanted to develop the visits at the property and be able to welcome groups. Since 2003, Ludivine (their second daughter) and Damien (her husband) have joined the family Business. Ludivine helps Nadine in the office and the reception, while Damien helps Patrick in the vatting house and the vineyard. 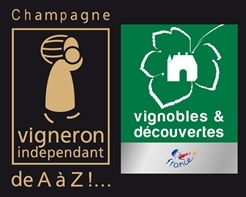 As members of the French Federation of Independent Winegrowers, our love and passion for both winegrowing and elaboration of Champagne, provides you a guarantee of exceptional quality. In 2011, we replaced our enamelled vats by stainless steel vats. Also, we chose to work with modern press of 6 000 kg instead of our traditional press of 4 000 kg. But it is still for you to be seen ! In 2012, we relooked our tasting room. You are now very welcome to visit us and taste our Champagnes. If you are passing through our beautiful region, we are pleased to welcome you to the property. From Monday to Friday: 9.30 a.m. – 12.00 a.m. and 1.30 p.m. – 5.30 p.m.
At weekends, preferably by appointment at +33 (0) 323824618.